Vancouver B.C. 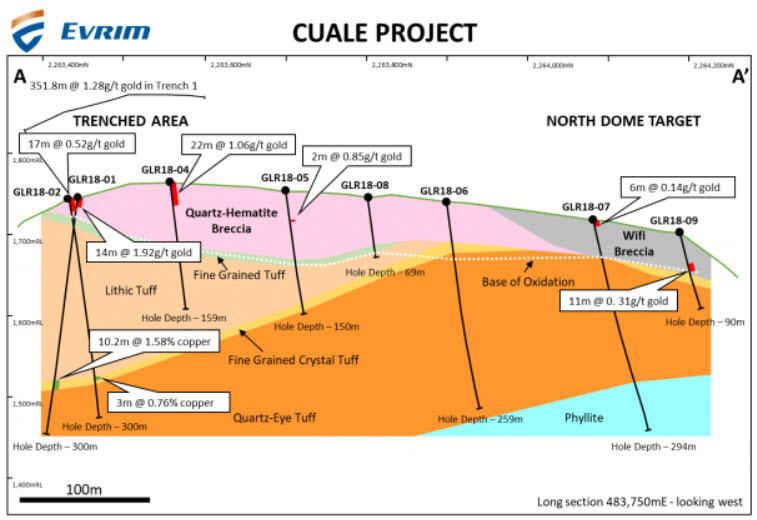 February 11, 2019: Evrim Resources Corp. (TSX.V:EVM) (“Evrim” or the “Company”) announces additional drill results from the Cuale gold project in Jalisco, Mexico. The Company has received assay results from ten diamond drill holes completed in 2018 for a total of 2,179 metres. 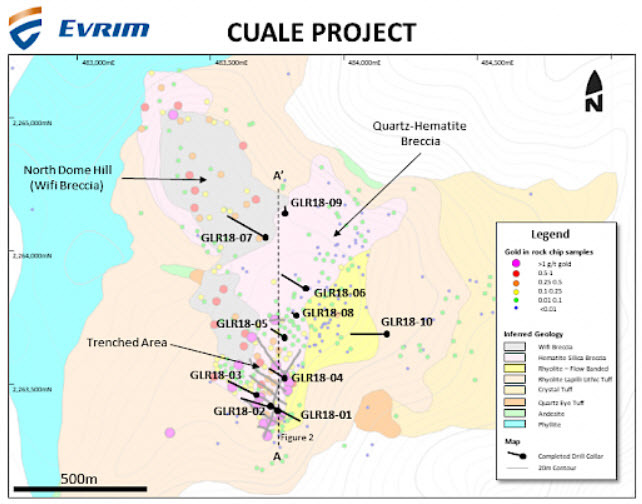 For previously released drill hole results, see press release dated December 6, 2018 on the Company’s website at www.evrimresources.com or on Sedar at www.sedar.com. Figure 1 – Plan map of completed drill holes with rock chip samples, trench locations and cross-section line plotted. To find out more about Evrim Resources Corp., please contact Paddy Nicol, President, or Charles Funk, VP New Opportunities and Exploration at 604-248-8648, or Liliana Wong, Manager of Investor Relations at lilianaw@evrimresources.com.